August | 2013 | Stamp Right Up! 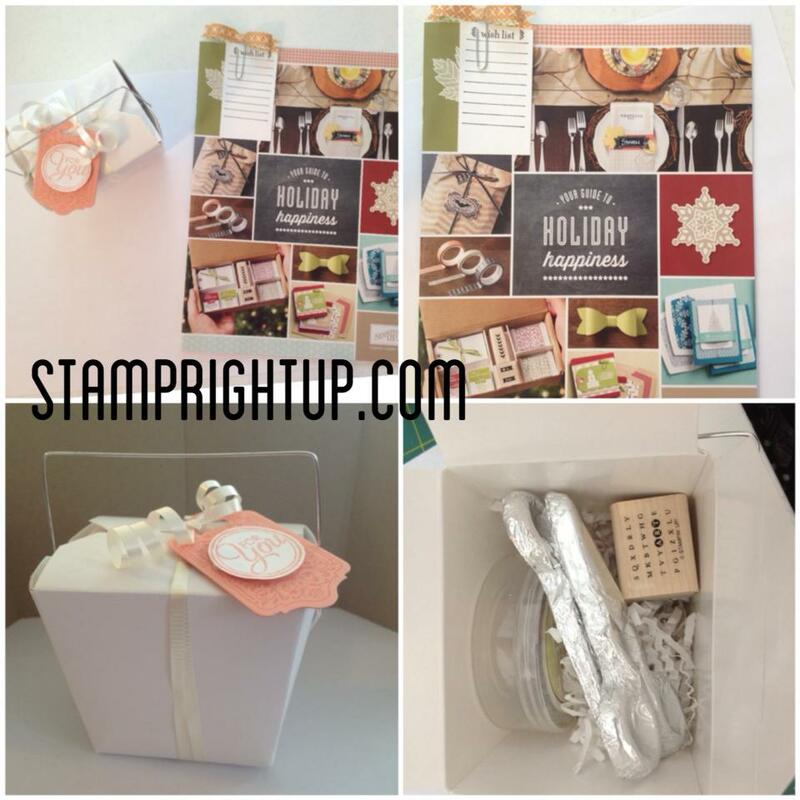 Just a quick post to show all you Stampers a card I cased from Pinterest. 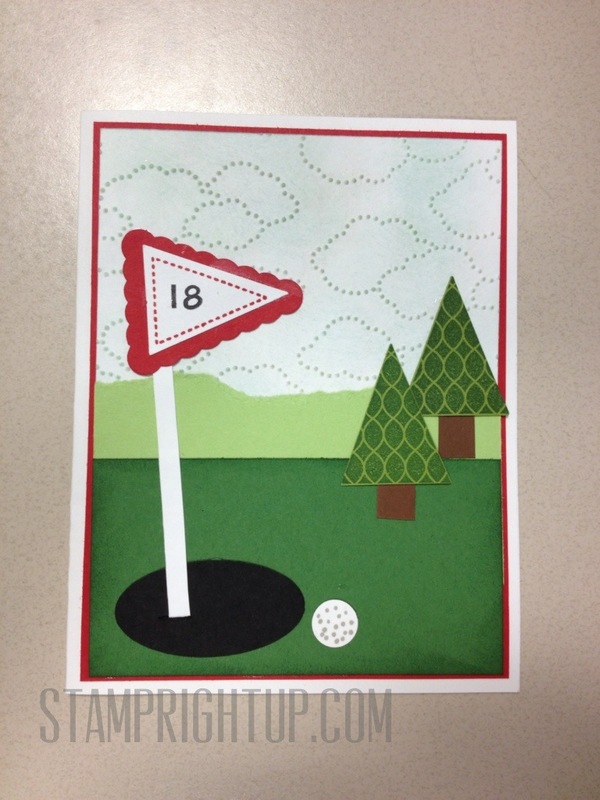 I made it for a good friend of mine who is a golf pro & who I wanted to send a cheery note to. It was super easy to do! 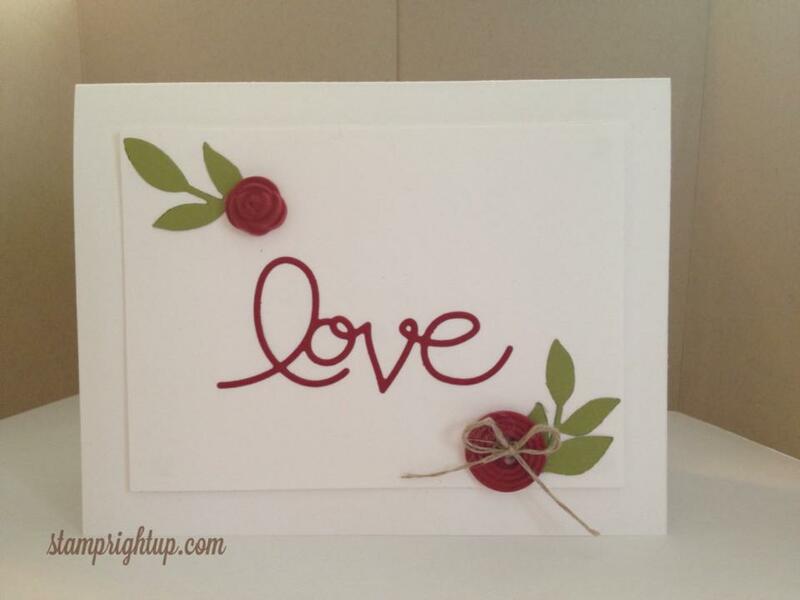 I will be posting a tutorial exclusive for my Facebook fans so be sure to stop by and click the like button on my page! 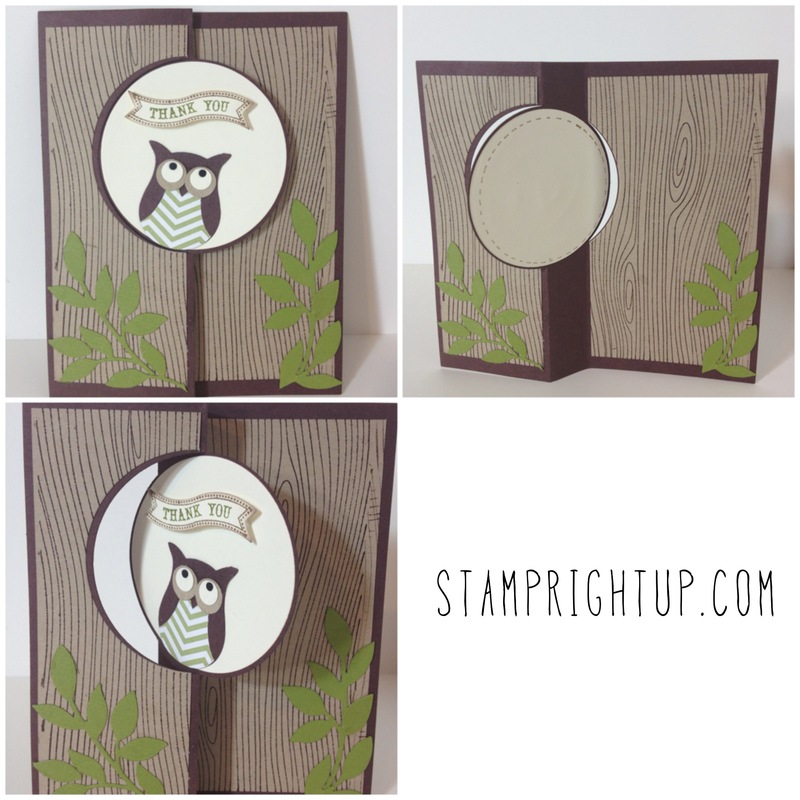 Using the circle thinlit bundle, I made this card using the owl punch. It is a bit of a learning curve to figure out how to cut the second layer, but once I figured it out I was quite happy with the result. 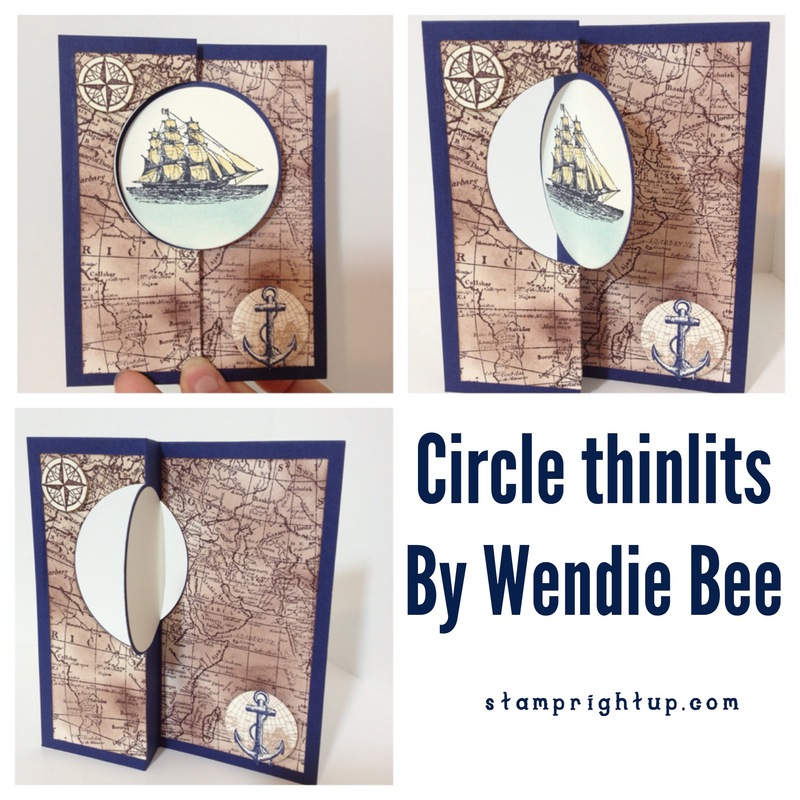 Once I make a few more of these cards, I will be posting a tutorial using these thinlits. Be sure to stay tuned for that! I have found that if you use a 12×12 sheet of paper you will have considerably less paper waste / scraps left over.